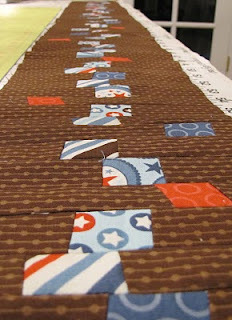 pieces cut...and assembly line in place to work 2 twin size quilts at once. I have assembled one panel of the "little bits" strip and love it. My neck and back won't allow me to sew the second tonight but will finish tomorrow, this quilts comes together nice and quick!